Electric Linear Actuators for Adjustable Dental Chairs | Venture Mfg Co.
Every year dentists lose millions of dollars due to appointment cancellations due to musculoskeletal pains or other related health issues. One of the reasons for musculoskeletal disorders is the use of uncomfortable dental chairs. Dentists can minimize their current ergonomic related issues by selecting a proper dental chair fitted with proper actuators. Venture Mfg. Co. designs and manufactures quality actuators that help improve ergonomics of dental chairs. Thus, dentists can provide the best service to their patients while remaining pain-free throughout their career. Our actuators are known for their durability, precise movements, and steady performance over years. We provide the following types of actuators for dental chairs. 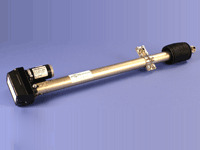 Linear Actuators: These actuators allow linear movement in dental chairs. Our linear actuators are distinguished by the following features. Electric Linear Actuators: Electric linear actuators are developed to meet ergonomic challenges of medical devices. These actuators are powered by electric motors. They are popular due to the following beneficial features. Venture Mfg. Co. has combined its industrial experience and its actuator technology expertise to manufacture actuators for dental chairs. Our actuators are extensively used in various medical industry applications. Hospital beds, nursing home beds, home care beds, treatment chairs are few prominent applications that make use of our innovative actuator technology. We can custom design these actuators to suit any complex requirement. 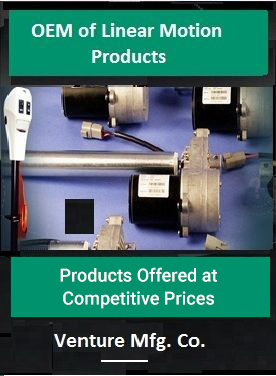 Reasonable prices and quick turnaround times are benefits that distinguish us from other actuator manufacturers.